This is a repeat of last year's post. 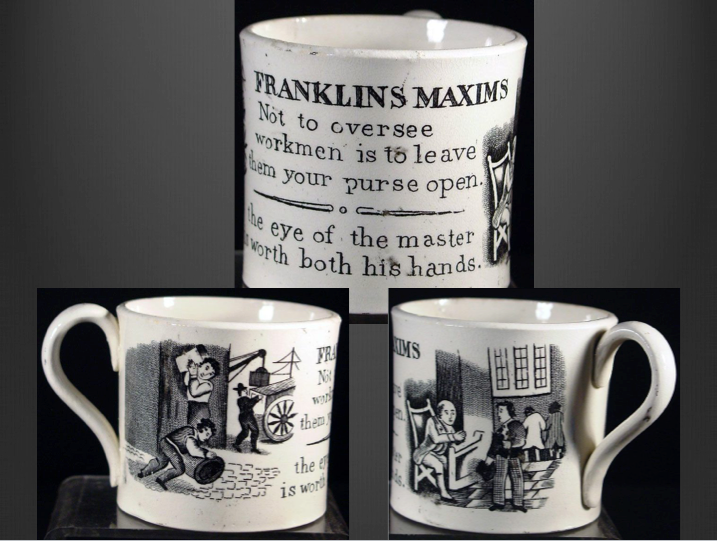 I am reading Walter Isaacson's biography of Benjamin Franklin, so the maxims are even more meaningful (to me). Have a healthy, wealthy and wise 2016! Zoological Gardens Regents Park. Notice the Clock Tower (weather vane on top) on the right. 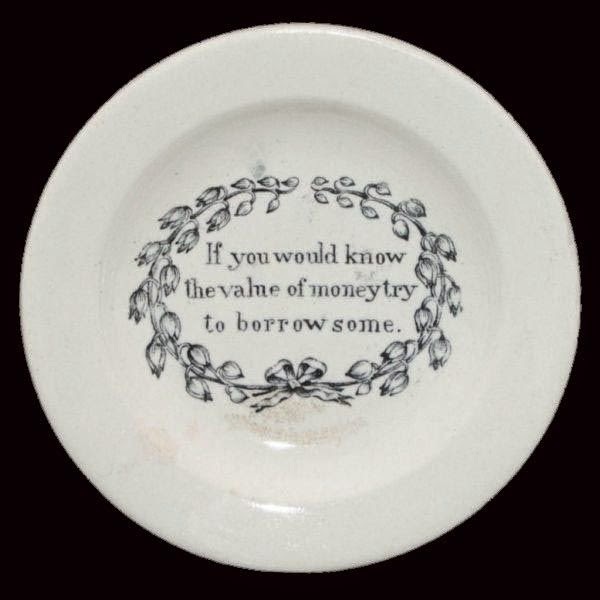 The London Zoo appears on many pieces of 19th century transferware, so I decided to visit the zoo when I was in London for the annual meeting of the Transferware Collectors Club. 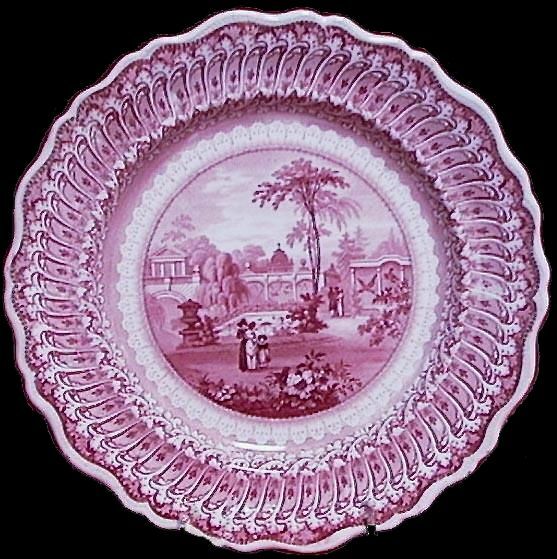 (A brief history of the zoo can be seen in my post "Transferware Zoo Patterns #1"). 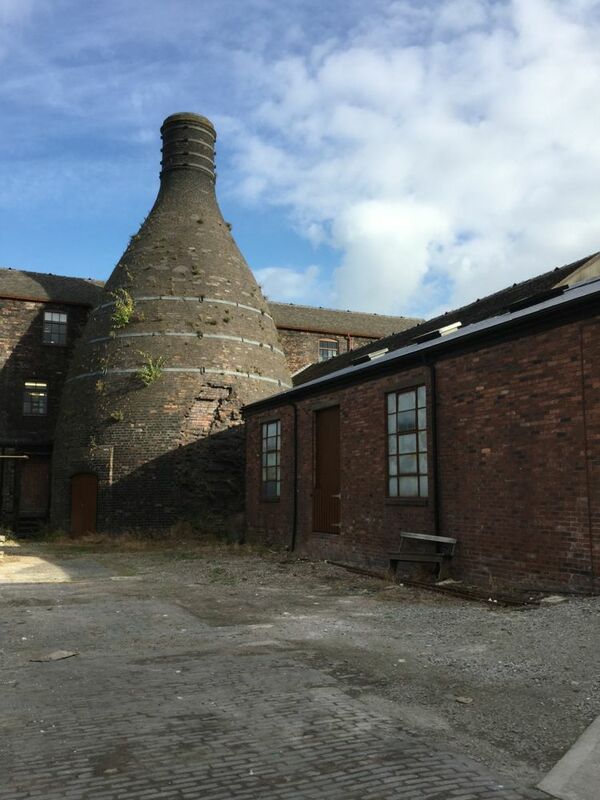 A few of the original buildings not only exist, but are still in use. 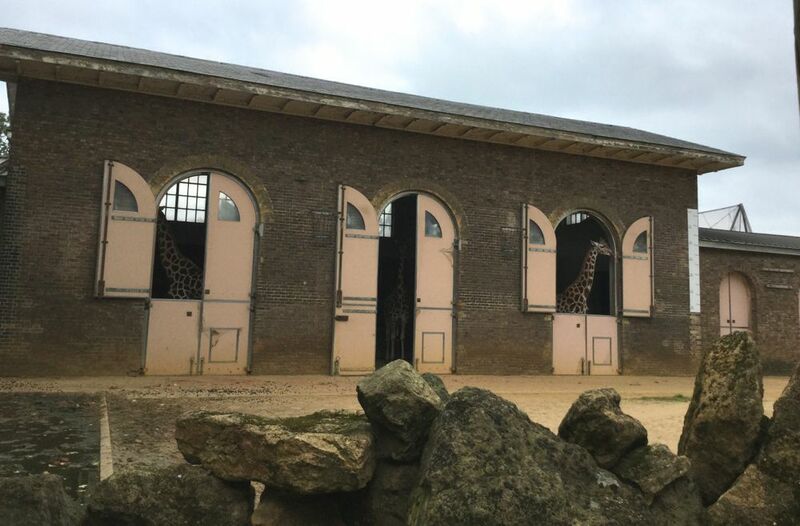 Unfortunately, these buildings are not well represented on the zoo patterns. That said, I needed to look carefully at the zoo patterns in the Pattern and Source Print Database of the TCC. 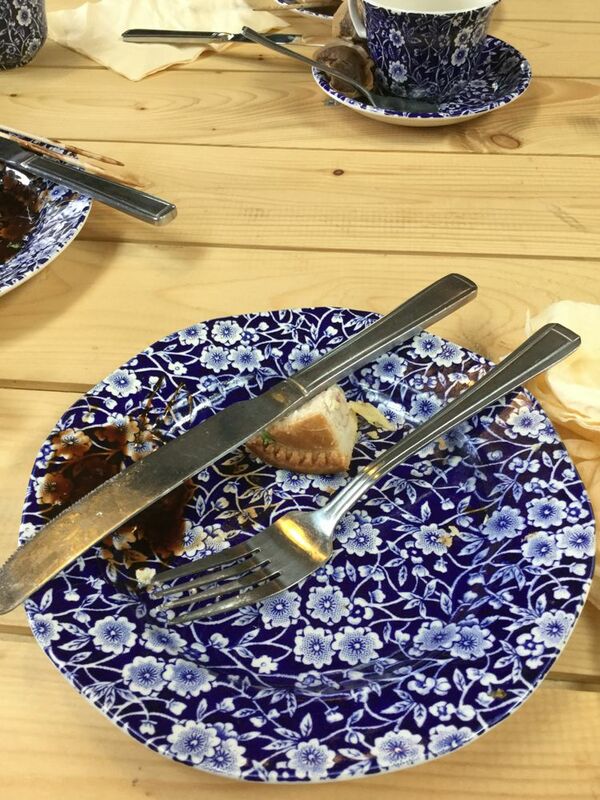 It was a bit like "find the hidden picture" game I enjoyed so much as a child. 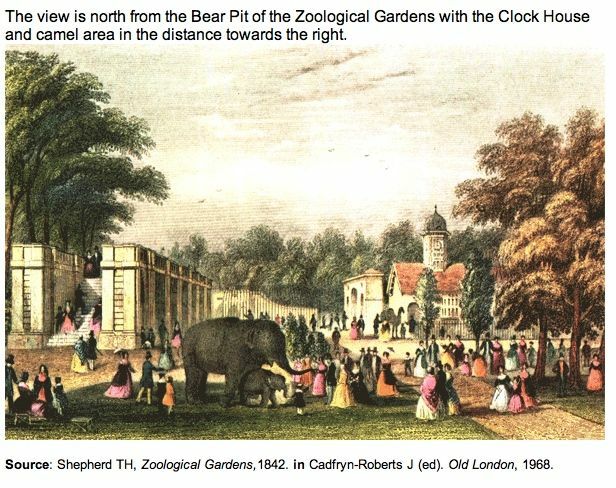 The Clock Tower (1828), designed by Decimus Burton, the zoo's first architect,* appears on many lithographs of the early zoo. 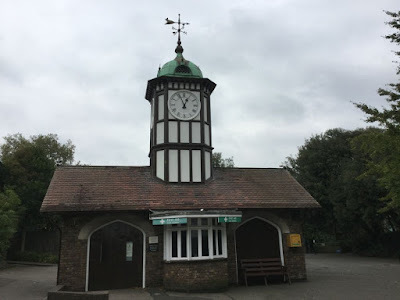 It was built to house llamas or camels, but now is used as a first aid station. Almost all of the early 19th century animal houses are considered much too small for animals of any kind today. 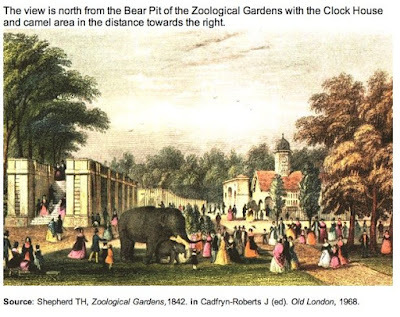 The Clock Tower was designed in 1828 by the early zoo architect, Decimus Burton. 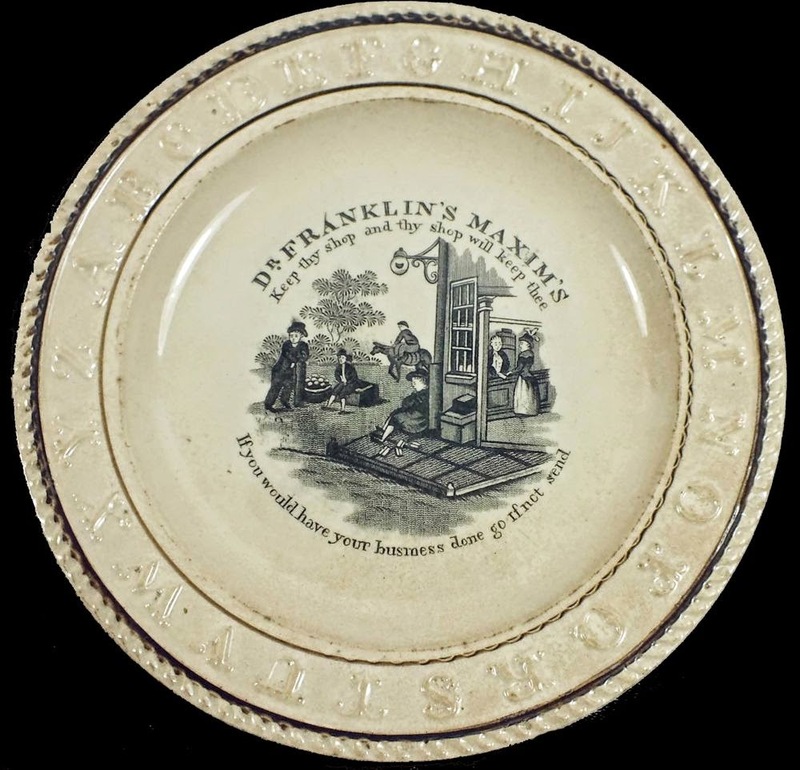 The clock was added in 1831. According to the ZSL website,* the building was rebuilt in 1844 as a Gothic house for llamas, and was rebuilt again in 1898. An early lithograph of the Clock Tower by George Scharf (1788-1860), an illustrator for the ZSL, is complete with llamas (although they look like camels to me). Notice the Gothic trim on the side of the building. 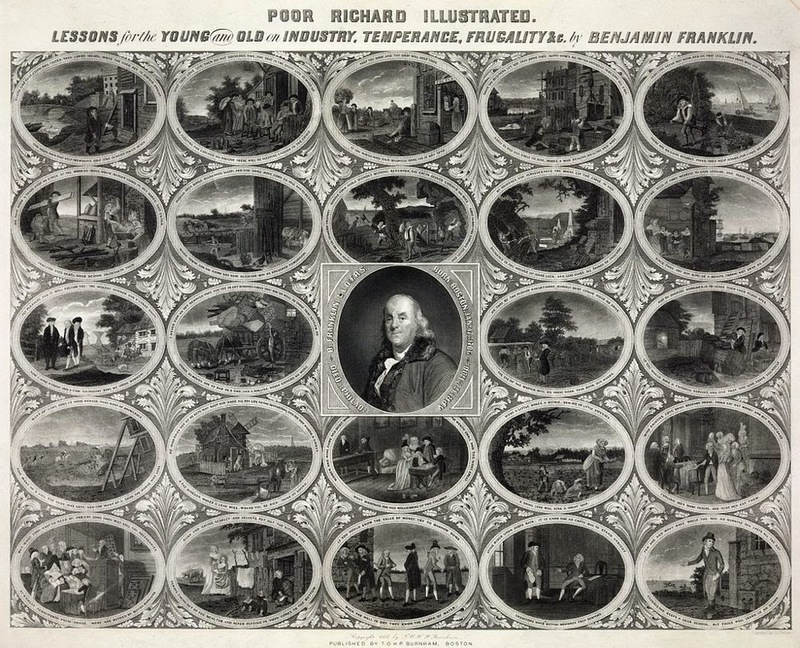 The Clock Tower is near the bear pit in the center of this print. The Clock Tower is described here as housing camels. 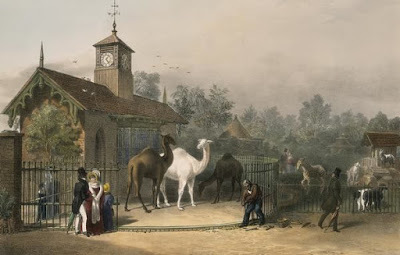 Camels are in the same family as llamas, but the London Zoo website says llamas were housed in the clock tower building. 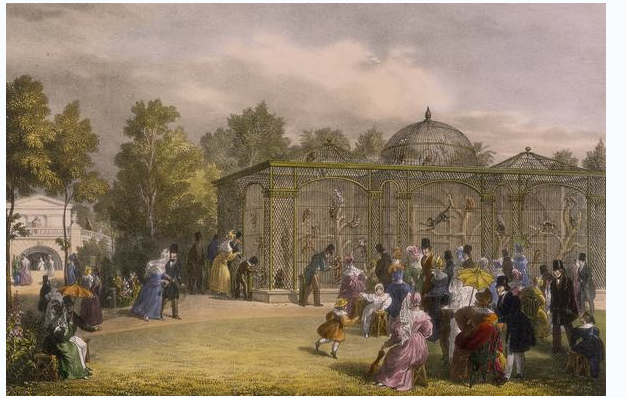 The Ravens' Cage (1829) was also designed by Decimus Burton. 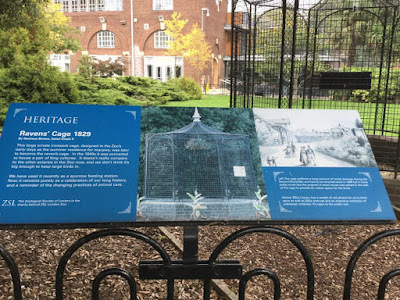 According to the sign, it was originally used as a summer residence for macaws, and it later housed ravens. 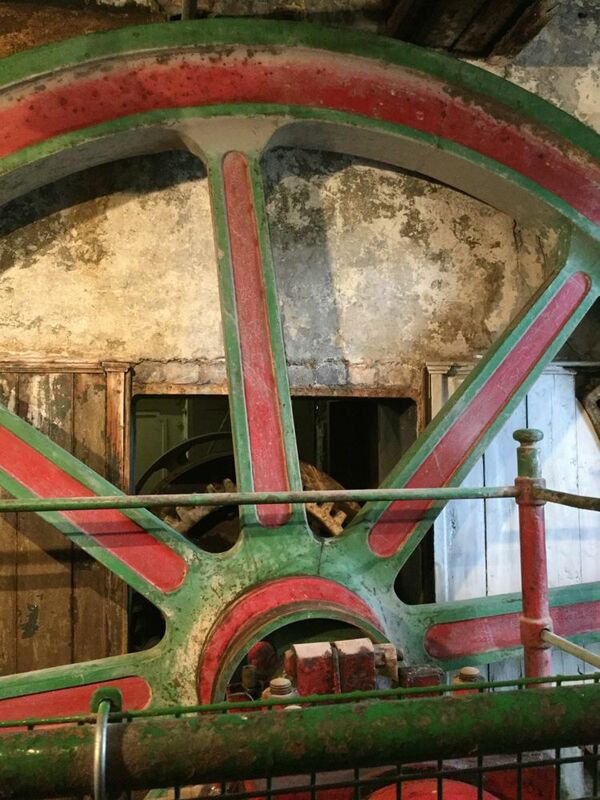 It was used recently as a feeding station for sparrows, but it is mainly of historical interest. 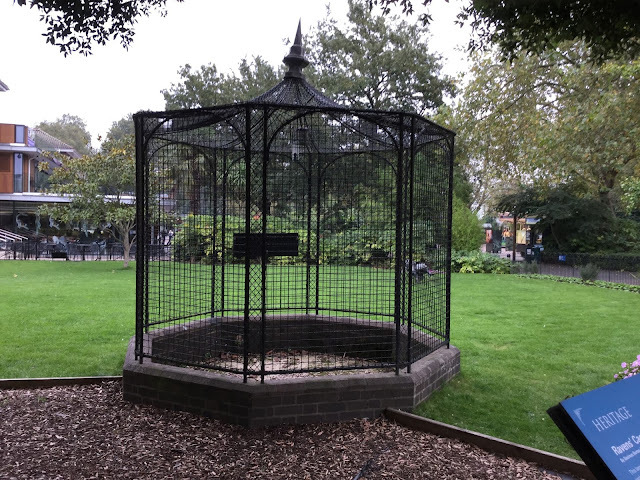 The cage suffered severe damage during the bombing of London during World War II, and was rebuilt. Ravens' Cage, ca. 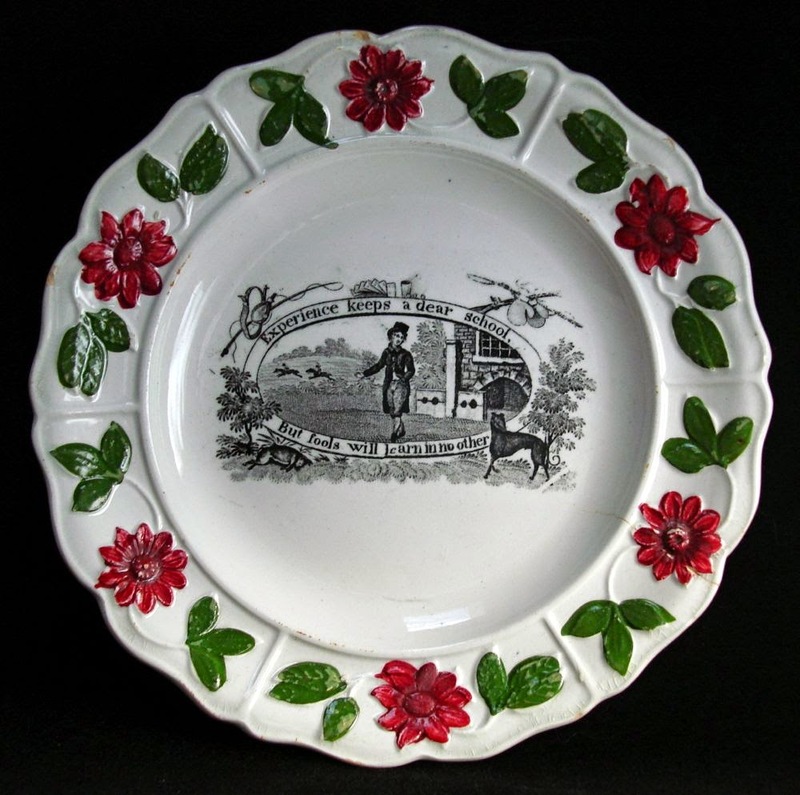 1829 was designed by Decimus Burton. The right side of the sign shows an early image of the Ravens' cage (click to make the photo bigger). 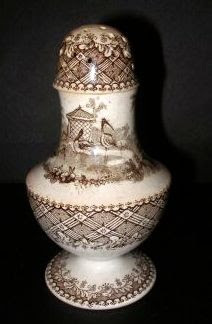 Robinson, Wood & Brownfield (1837-1837) "Zoological" pepper pot printed with, perhaps, the ravens' cage. 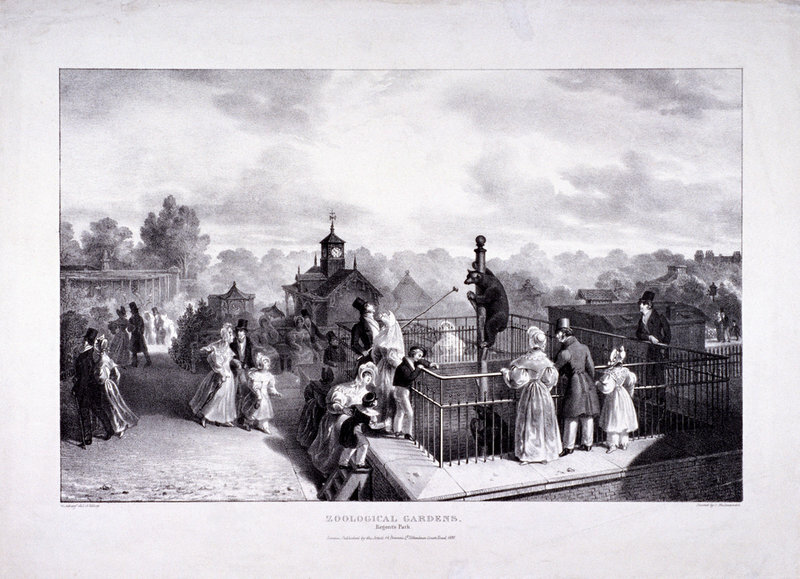 Davenport (1794-1887) child's plate "Zoological Gardens, Beaver House Aviary &c." Notice the Ravens' cage on the right behind the tree. (This may not be the Ravens' cage, but wishful thinking got the better of me). The East Tunnel (1829-30), designed by Decimus Burton, linked the North and South parts of the zoo for the first time. 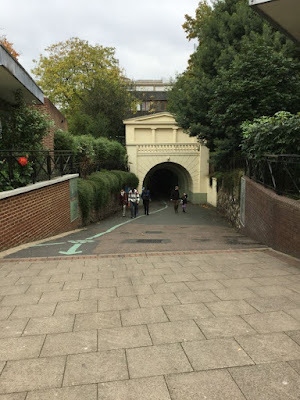 David and I walked through it in October. East Tunnel Zoo Sign (once again, I suggest you click on the photo to make it bigger). George Scharf print of the monkey cages and the tunnel (see it on the left). 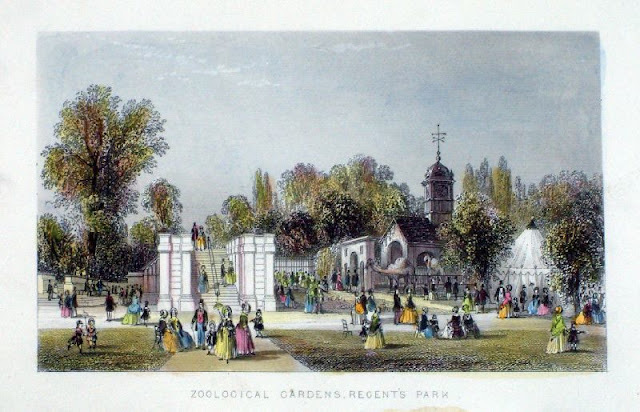 Ralph & James Clews (1814-1834) "Zoological Gardens" 10 inch plate shows the monkey cages, the aviary and the tunnel (see it on the left). 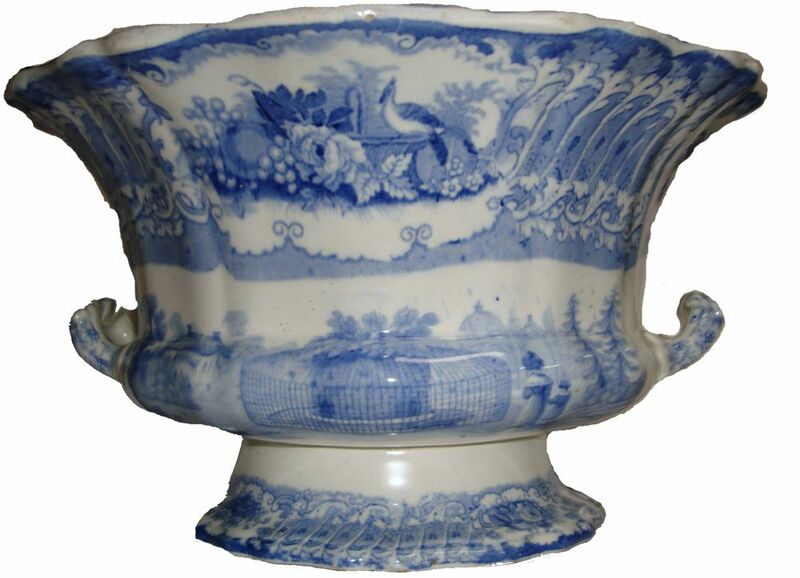 Podmore, Walker & Co. (1834-1859) footed bowl. 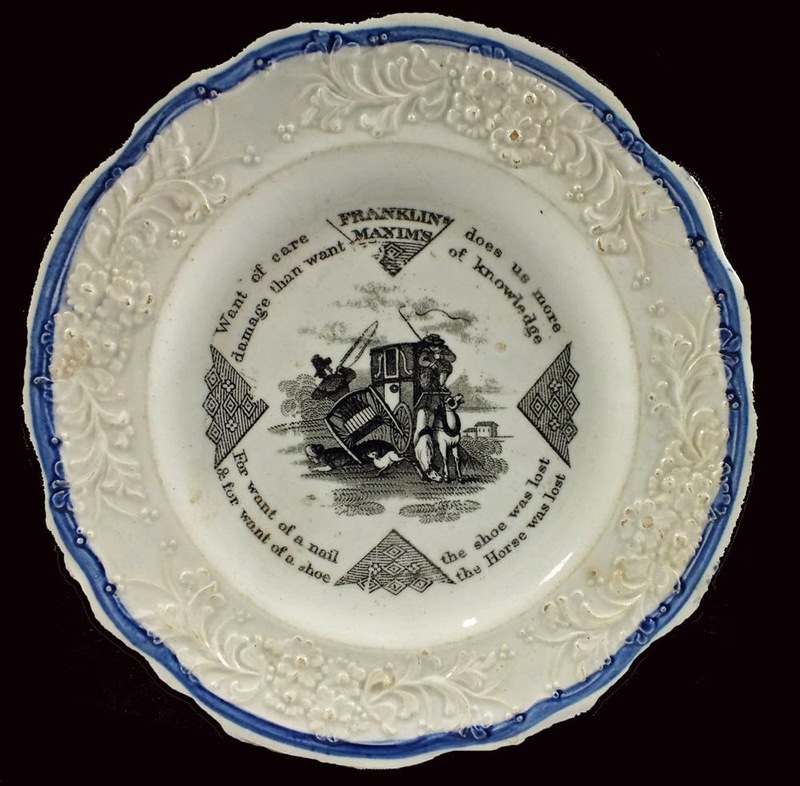 The inside of the bowl shows the aviary, the monkey cages, and the tunnel. The outside of the bowl features the otter cavern. 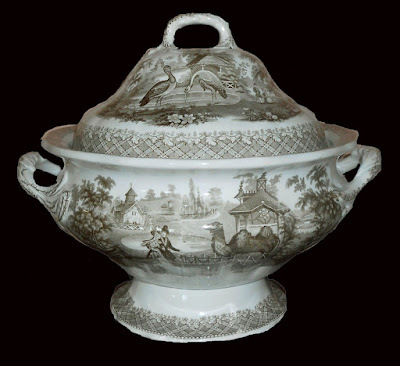 The outside of the "Zoological" footed bowl shows the otter cavern. The giraffe house (1836-37) is still used for its original purpose; housing giraffes. 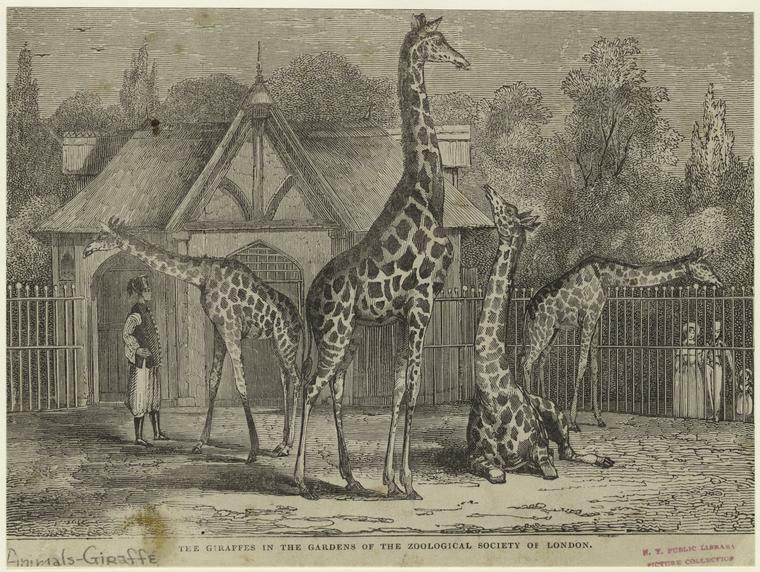 According to the ZSL, the zoo "received four giraffes in 1835; one female and three males. 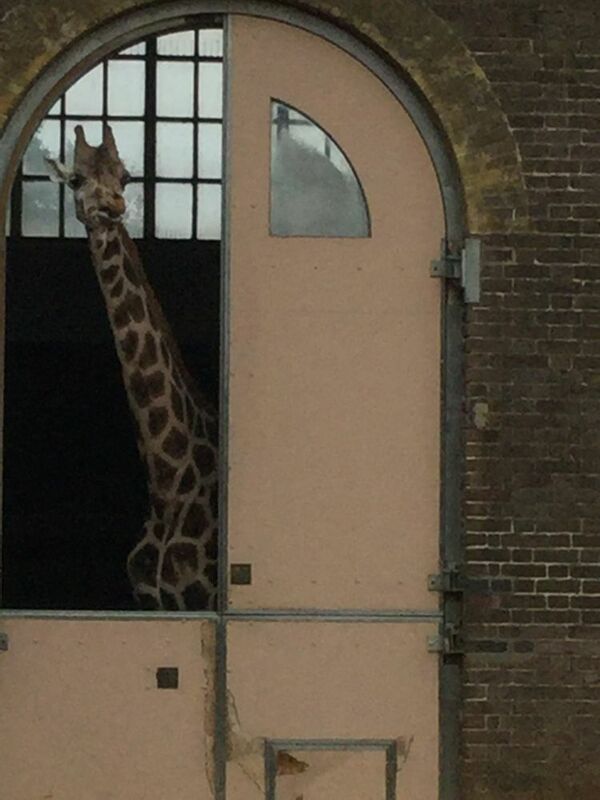 Giraffes have occupied the house ever since. Wings were added in 1849-50." 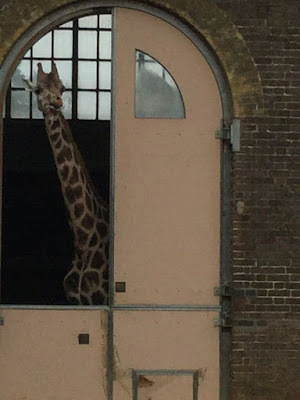 There was bomb damage in 1940, so the giraffe house was rebuilt in 1960-63. 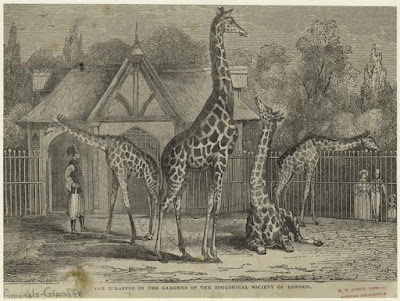 A newspaper print of the original giraffes at the London Zoo. 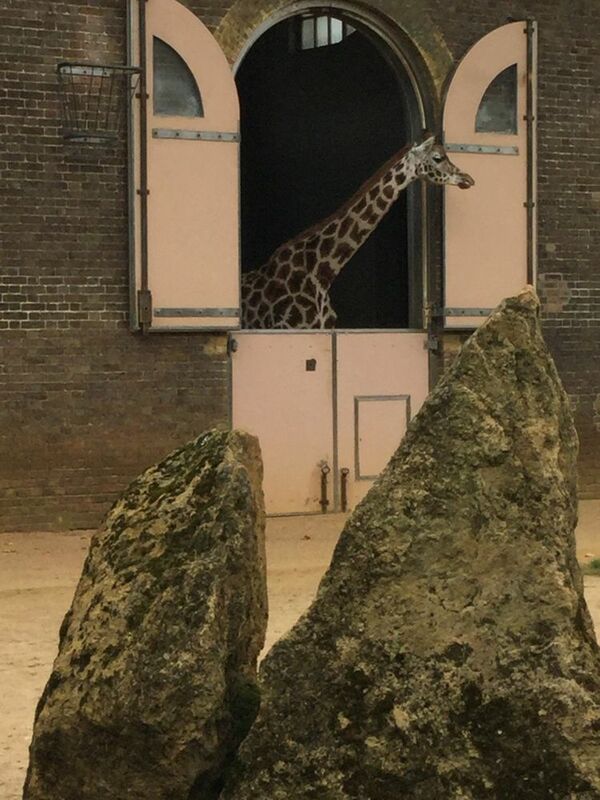 Notice that the pediment (triangular part above the door) has been removed from the present giraffe house. 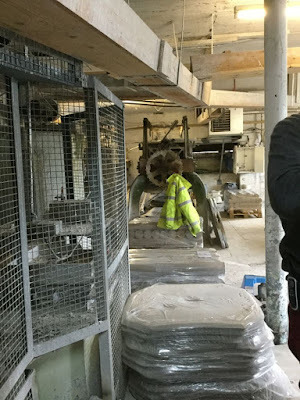 It was possibly another Victorian addition, and not original to the building. 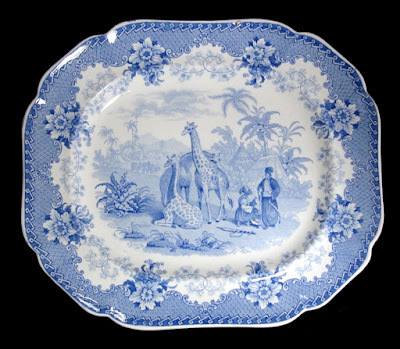 John Ridgway (1830-1841) "Giraffe" 14 inch platter. Read about this pattern in my post titled, not surprisingly, Giraffe. I have shown you mainly zoo patterns that feature buildings that are still at the London Zoo; the Clock Tower, the Ravens' Cage, The Tunnel. 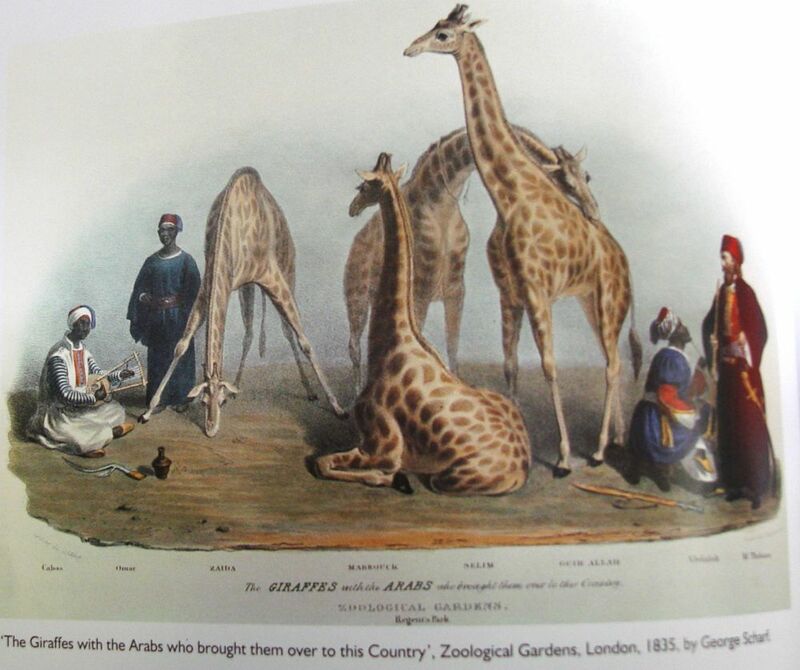 The Giraffe House only appears on a newspaper print, but the print shows the same giraffes found on the platter above. The platter is copied from a George Scharf (early zoo artist) print, which is seen below. 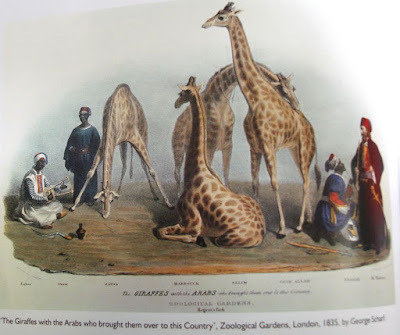 George Scharf print of "The Giraffes..."
There are two series that feature many London Zoo patterns; "Zoological" by Robinson, Wood & Brownfield and "Zoological Gardens" by Ralph & James Clews. 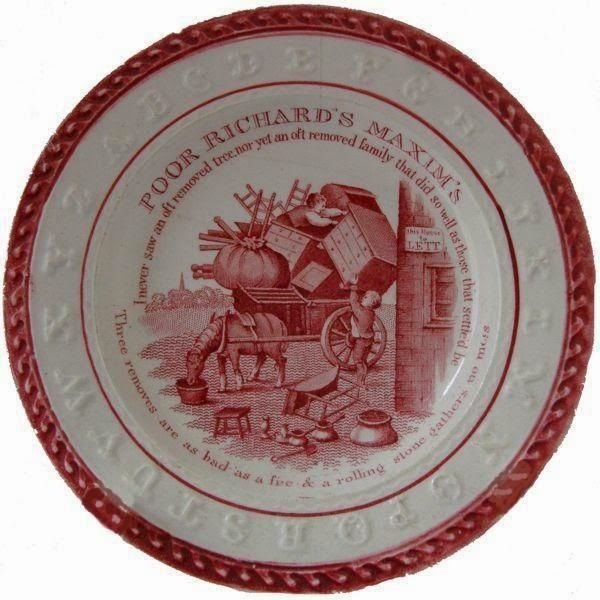 Not surprisingly, there are also many zoo patterns found on children's plates. That, however, is a post for another day. One more thing. As I was leaving the zoo, I noticed posters that showed some of the endangered animals that are helped by the ZSL (Zoological Society of London) or, more simply, the London Zoo. I always need to be reminded that zoos are not only for children's or adult's entertainment, but are societies that help preserve animals. 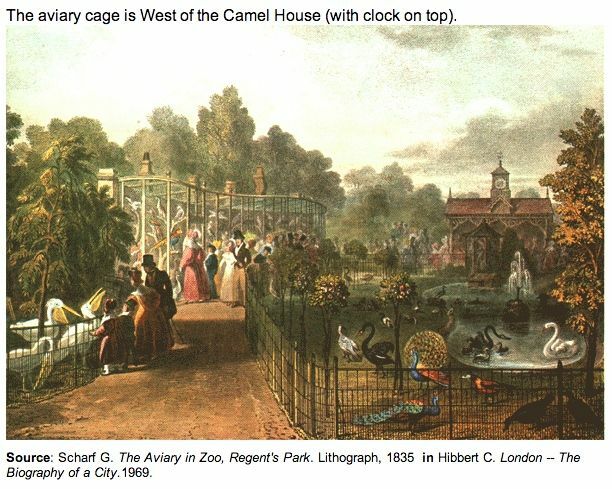 The ZSL was originally formed in 1826 to study animals, and it still does. 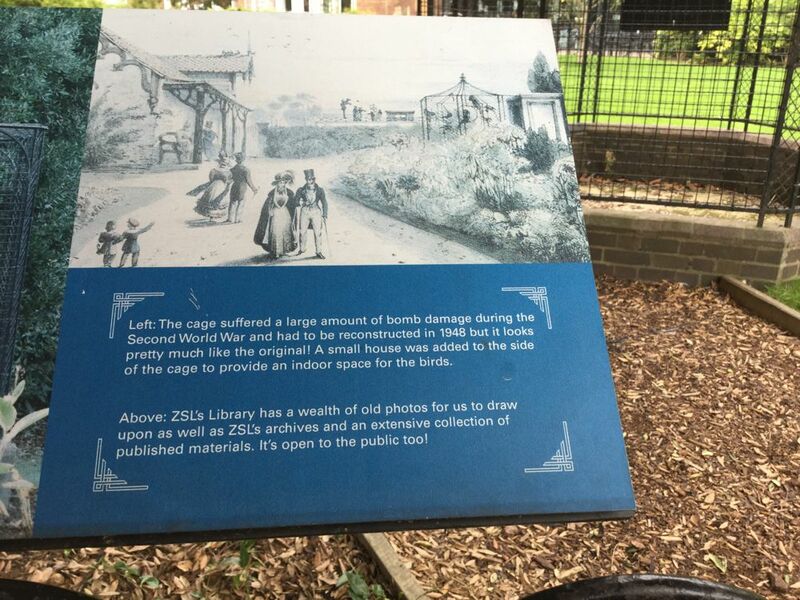 A good place to learn more about the ZSL is their website and their Facebook page. 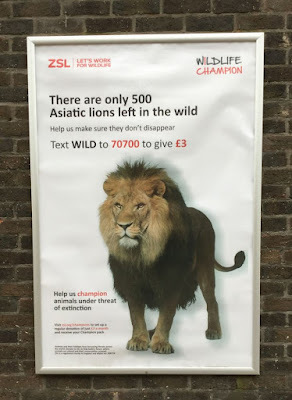 The Asiatic lion is the one featured in the Bible! Let's preserve him. 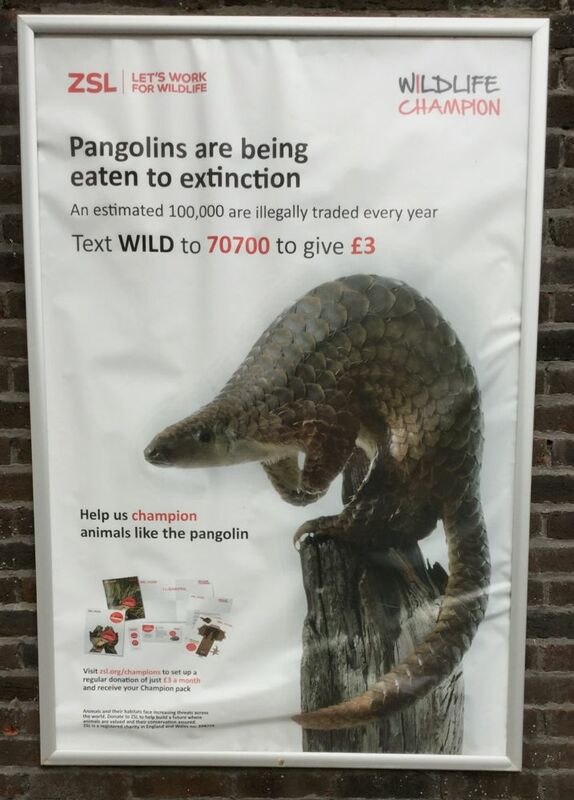 If you want to know more about the pangolin, the only mammal with scales, see my post on pangolins. 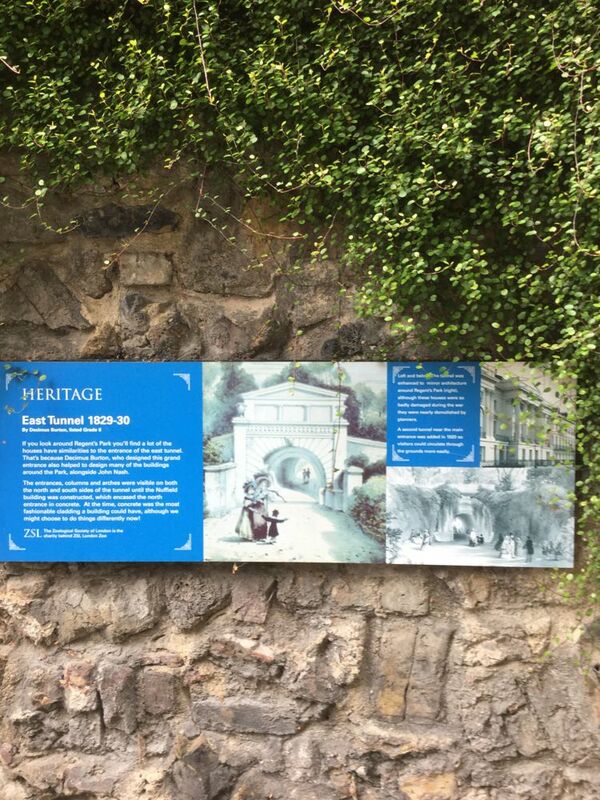 *Information about the architecture at the zoo can be found here. There is a series of 19th century transferware children's plates titled "The Commandments." 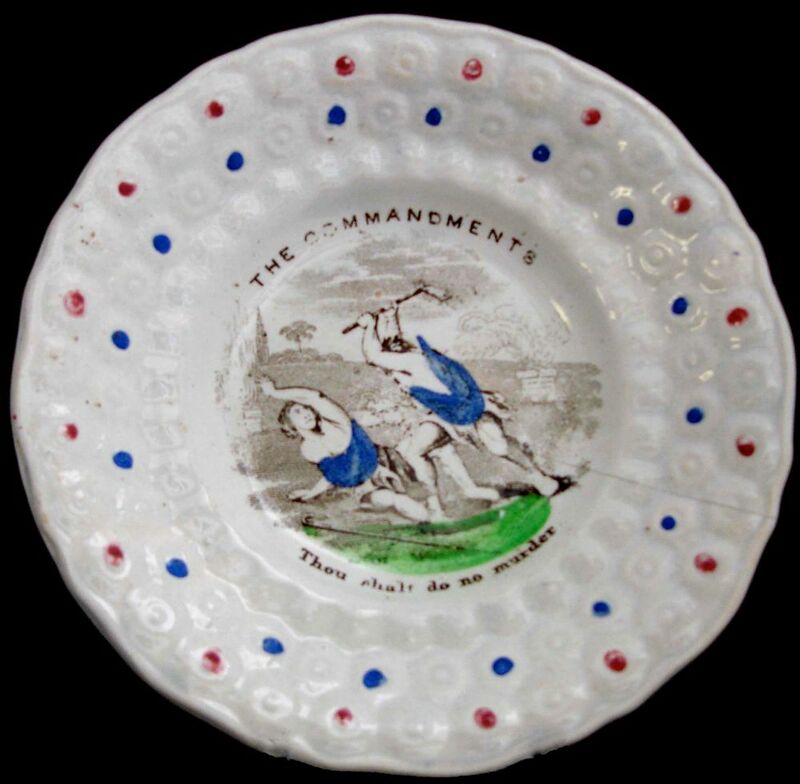 The ten commandments are excellent patterns for children's plates, which were often intended as teaching tools as well as gifts. 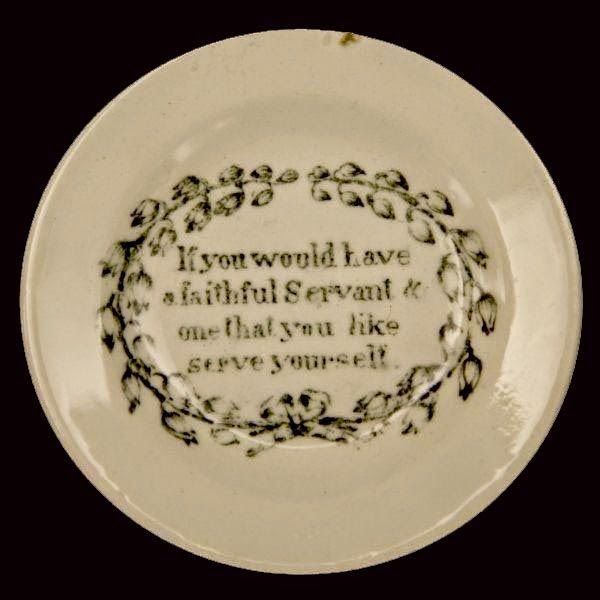 Although the pattern above may seem inappropriate for young children, it is a starting point to teach children about the sanctity of every life. It is also an opportunity to discuss the difference between killing and murder. I have been thinking about murder lately. What constitutes murder? How is is different from killing? Is there a difference? The Biblical injunction "Thou shalt not murder" orders us not to take the life of another human being. However, there are Biblical exceptions such as battle, self-defense, and the death penalty. These deaths may be justified. By extension, there are also accidental (without intent) deaths caused by mistake and negligence. Arguably, these are not murder. 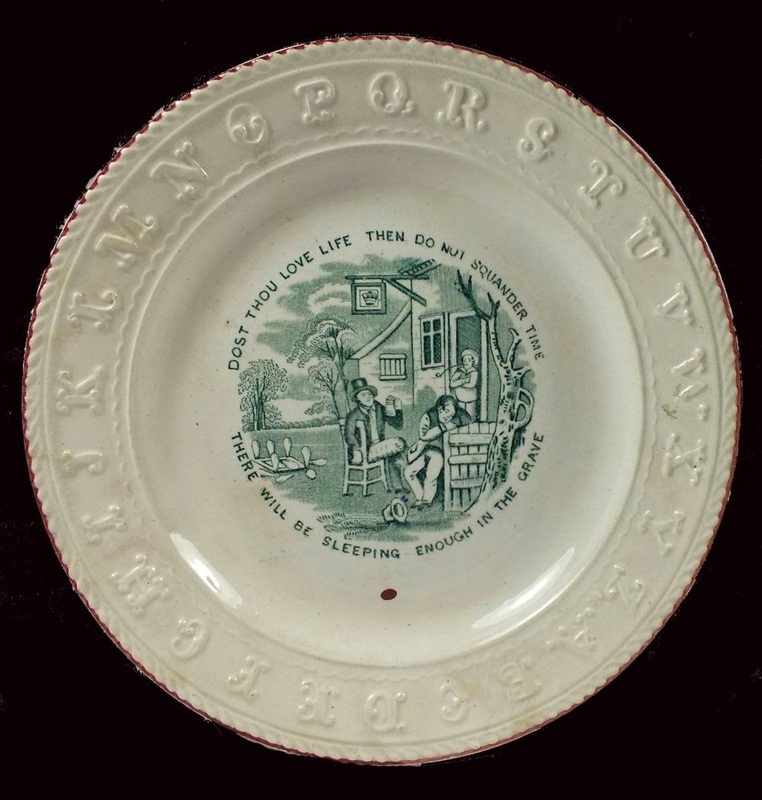 However, "Thou Shalt Do No Murder" is clear about some deaths. Unjustified and planned killing of unsuspecting and innocent people in a bar in Paris or a holiday party in San Bernadino is murder. It is as simple as that. At least, it may be simple to a child. 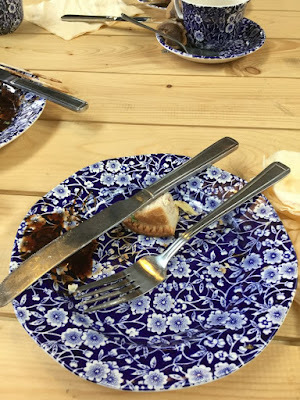 I hadn't been to the Middleport Pottery before, but I was very familiar with their popular "Calico" pattern, seen above with the remains of a delicious lunch. 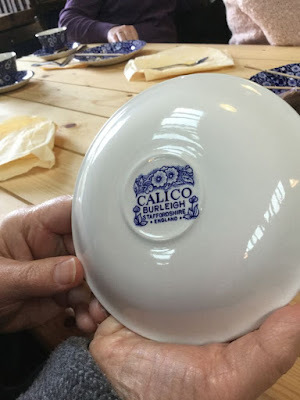 I always called it Blue Calico, but its name is just Calico. The factory, originally operated by Burgess, Dorling, and Leigh (known as Burleigh), is the oldest working Victorian pottery in Staffordshire. 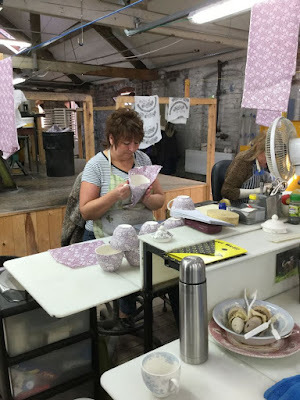 It continues to make pottery in the old way, as you'll see; think hand transfer printing. The pottery was purchased by the Prince's Regeneration Trust in 2011. 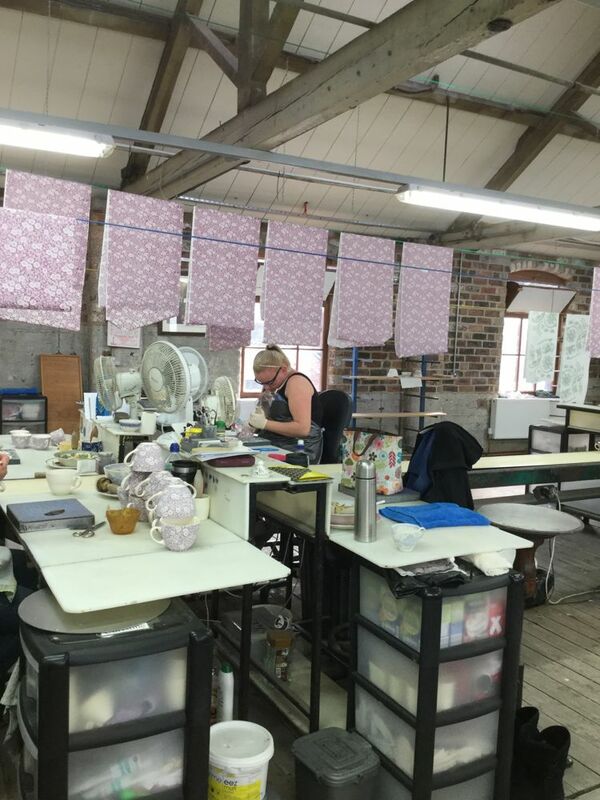 This made it financially possible for an extensive renovation of the factory. It also allowed the traditional work done in the factory to be preserved for present and future generations. Above is one of the original bottle ovens, which historically was fired by coal. Today the pottery is fired in an electric oven (better for the environment and workers!). 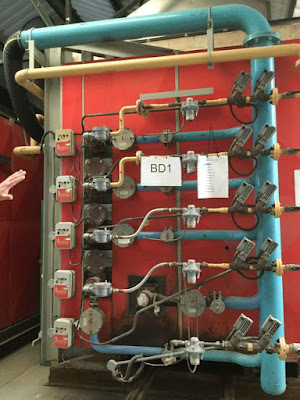 We were told the plants, seen on the outside of the oven, would never grow when the oven was working; it would be much too hot. 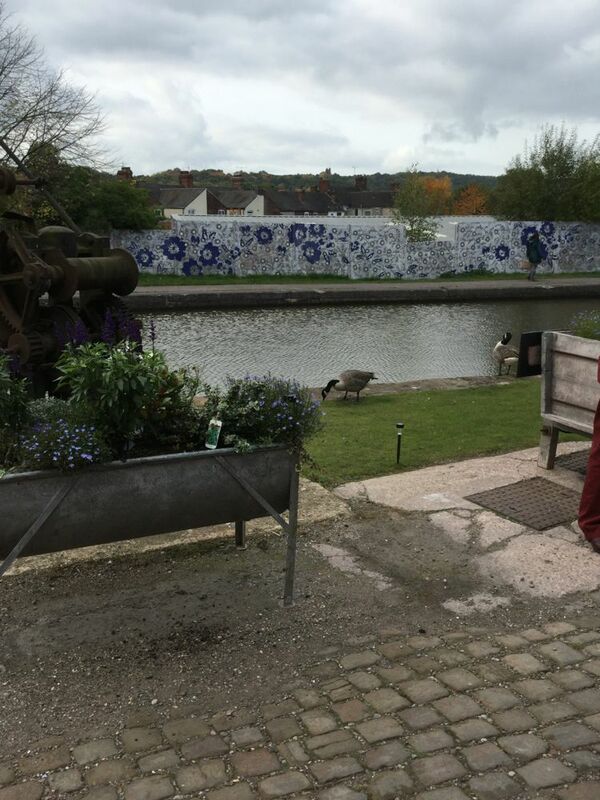 Along the canal, there are planters filled with flowers, Canada geese, and a gorgeous blue and white pottery wall. 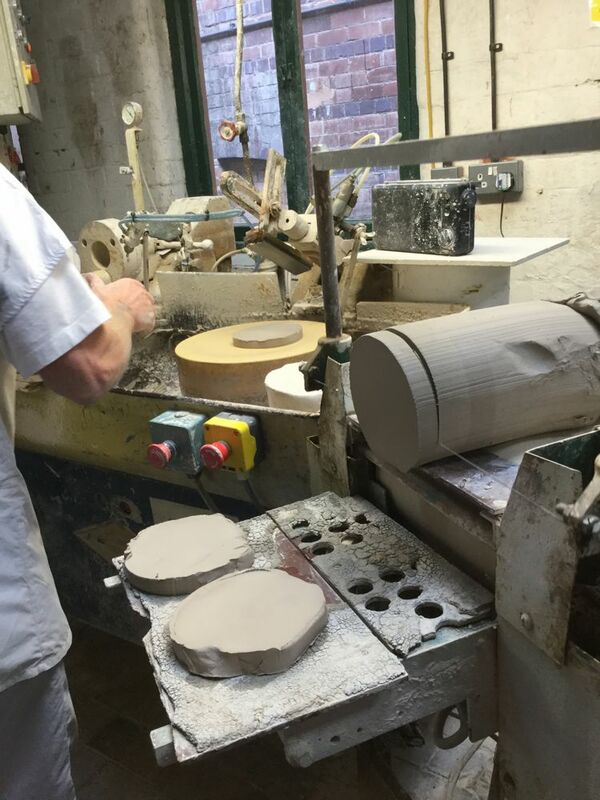 The Middleport pottery is located on a canal, which made it fairly easy to transport the finished products. 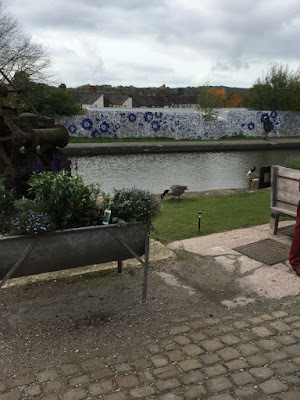 Today, the path beside the canal is a lovely place to walk. Inside, there is beautifully preserved equipment, lots of pots, and many workers. 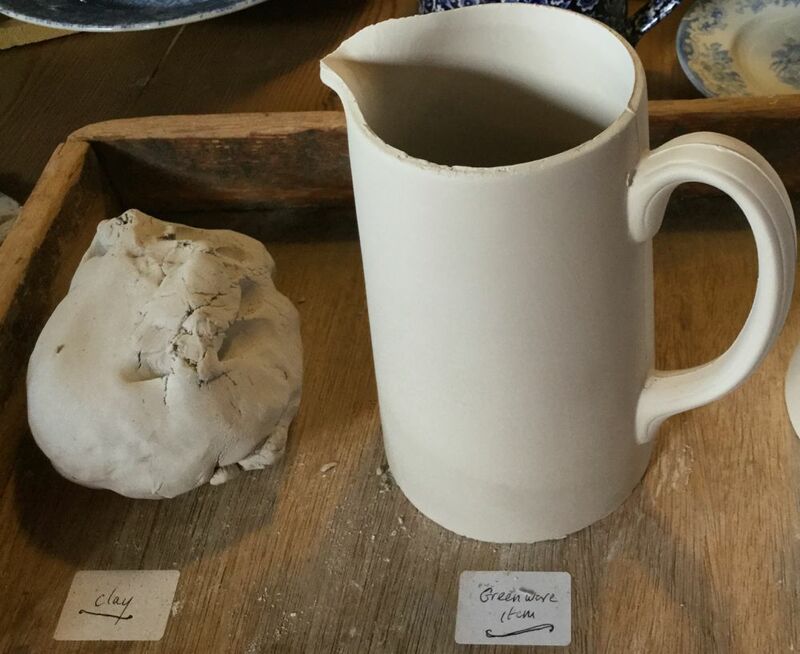 Clay cutter; like the cheese cutter my mother used to use. 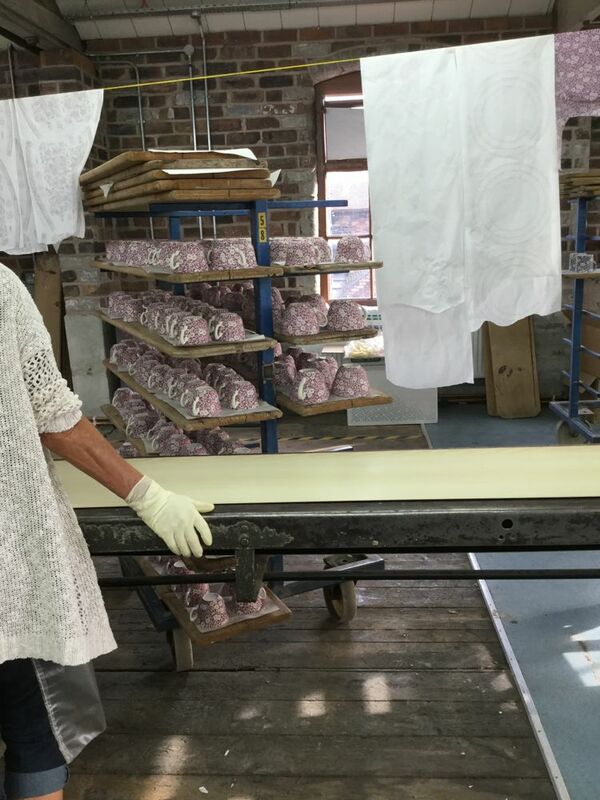 Notice the transfers hanging on a line. 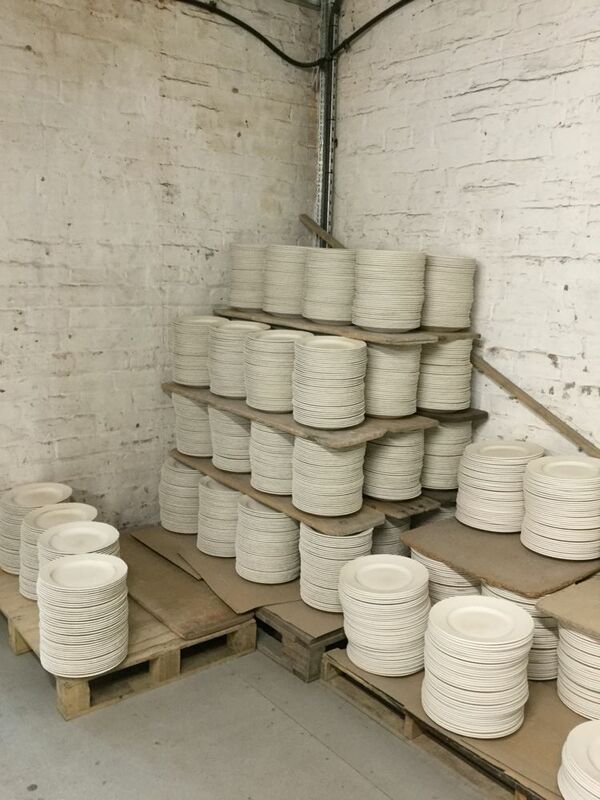 Cups waiting for the oven. 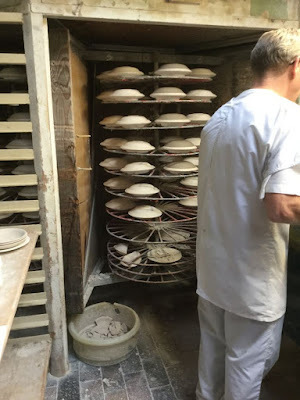 The purple color will become blue in the oven. The electric oven is a bit different than the bottle oven above! Finished pattern is now blue! These pots are for sale in the factory shop. 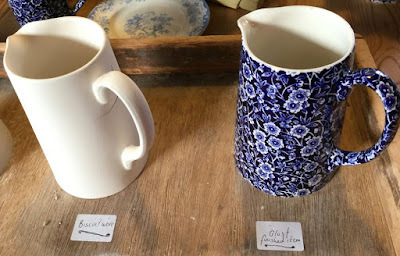 The factory shop showed an abbreviated primer of the pottery process written on scrap paper and modeled by clay and clay pots. Below are some lovely items for sale in the factory shop. 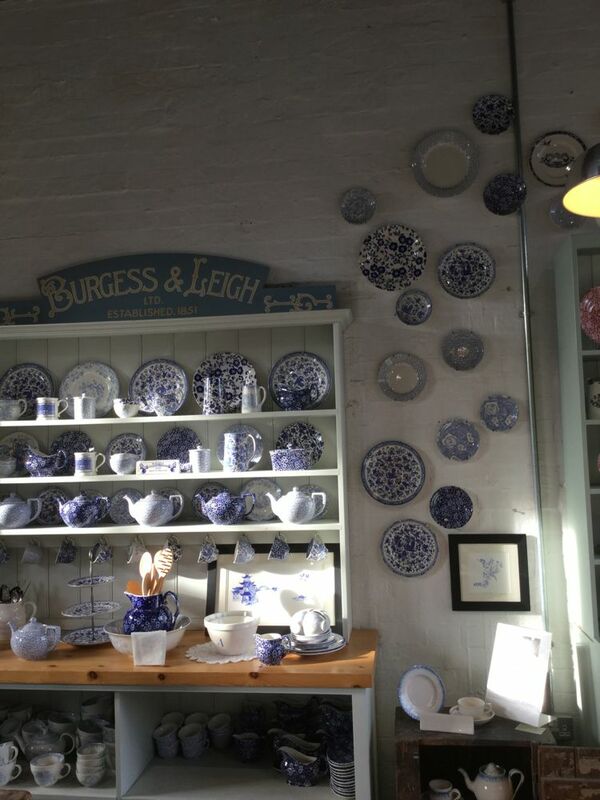 Burgess & Leigh Middleport Pottery Shop/A dresser filled with blue and white pottery and more plates on the wall. 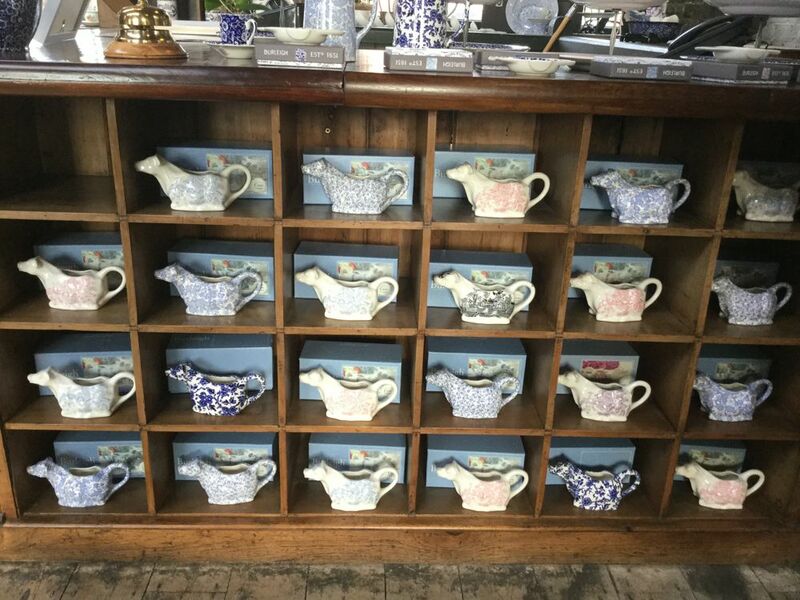 I decided to add a photo of the cow creamers sold in the shop, as cow creamers have a long ceramic history in England. 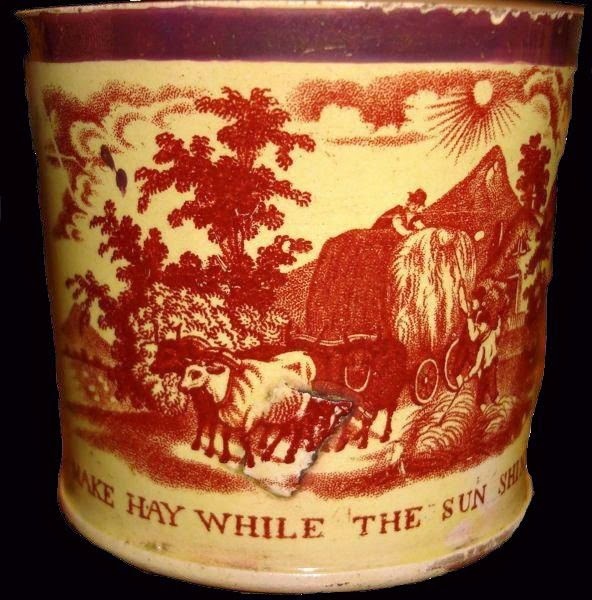 You can see 19th century cow creamers in my blog post The TCC England Tour 2015: Part Three - The Potteries Museum And Art Gallery. 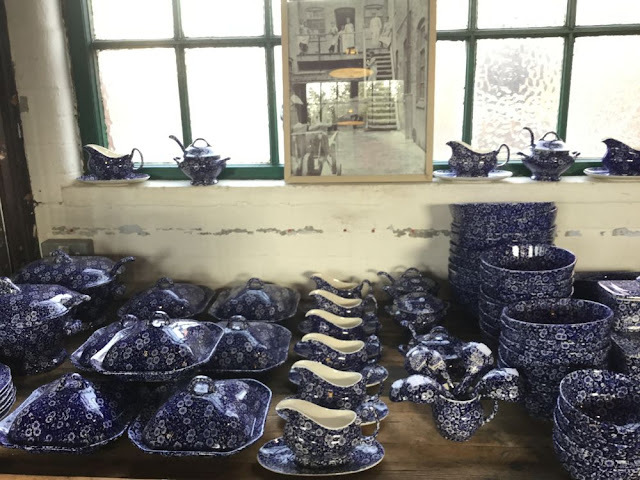 You may also want to check out the TCC England Tour 2015: Parts One, Two and Four; The Victoria And Albert Museum, Keele Hall And The Raven Mason Collection, and Spode.